In the spring of 1999 the french rim maker MAVIC launched the first viable bicycle tubeless system. By working closely with their french neighbor, the tire maker Hutchinson, they engineered a simple system that could give riders the benefits of larger air volume, greater traction, lighter weight and greater durability that tubeless systems offer. Since 1999, tubeless has evolved to be lighter, more serviceable, and lighter. 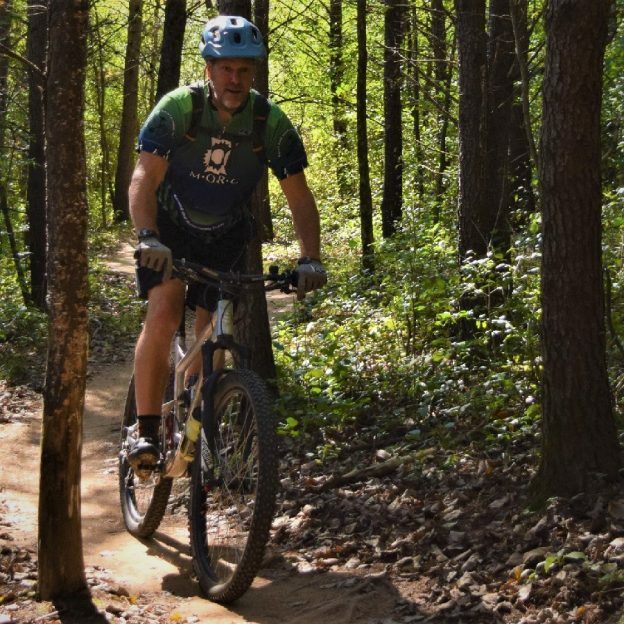 Now, with more bicycles coming from the manufacturer with these tires as standard equipment, please read on to see how the current family of tubeless systems can benefit you. Tubeless tires are exactly what they sound like, tires that use no innertubes. Specifically, these tire and rim systems use the air pressure, combined with a sealant, to keep your tires seated and inflated on the rim. There are a few reasons as to why tubeless tires have become popular. In essence, they are less prone to flats, they ride more comfortably, they are lighter and they offer better traction. Tubeless tires protect against the most common type of flat tire, a pinch flat. How a pinch flat works is the tire is compressed between a solid object and the rim. When compressed the rim and object work like scisors and cut a hole in the innertube. Considering tubeless tires have no innertube, they cannot pinchflat. This isn’t to say you cannot cut the tire in the same circumstance, but that is far less likely. The innertube on the left (blue) is susceptible to pinchflats, while the tubeless setup on the right is immune. Innertubes are relatively heavy. The pair can easily weigh a pound. While a pound may not sound like a lt of weight, we need to consider were that weight is. Tires, tubes, and rims have a profound effect on the feel of a bike. Heavy rims, tubes or tires can make the bike feel very heavy (even if it’s overall weight is low). The reason for this is that when you pedal, the weight you are constantly accelerating, only to have it decelerate and need to be accelerated again is rotating weight (ie. Rim, tire, tube). Reducing the rotating weight will decrease the mass you need to constantly accelerate, and lead to a lighter riding bicycle. By doing away with the innertube, you automatically increase the air volume of the tire. This increased air volume allows for a greater degree of flex in the tire when you ride over objects. Increaseing that flex allows the bike to more comfortably float across road and trail. There are two primary tubless systems. Tubeless, and Tubeless-ready. A true tubeless system (like the tires on most automobiles) requires no sealant to inflate the tire. The tire is built with a airtight material grafted to the inner surface. 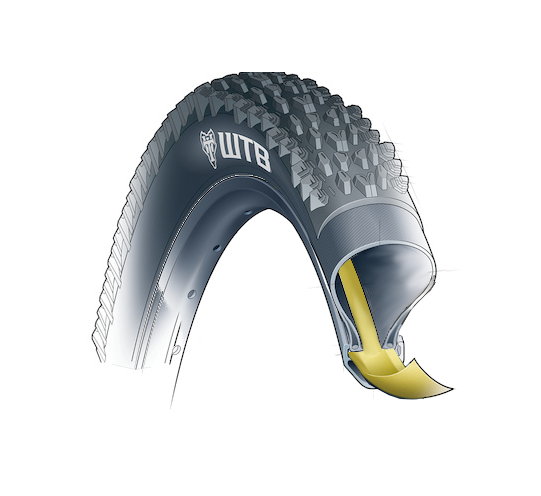 Tubeless-ready tires require you to use a sealant because they have no airtight material applied. Overall, the tubeless-ready tires has become more popular because they ride better, are lighter and less expensive. For all those benefits, the trade off is that a sticky solution must be installed into the tire to seal it. There are four primary items you need to go tubeless. 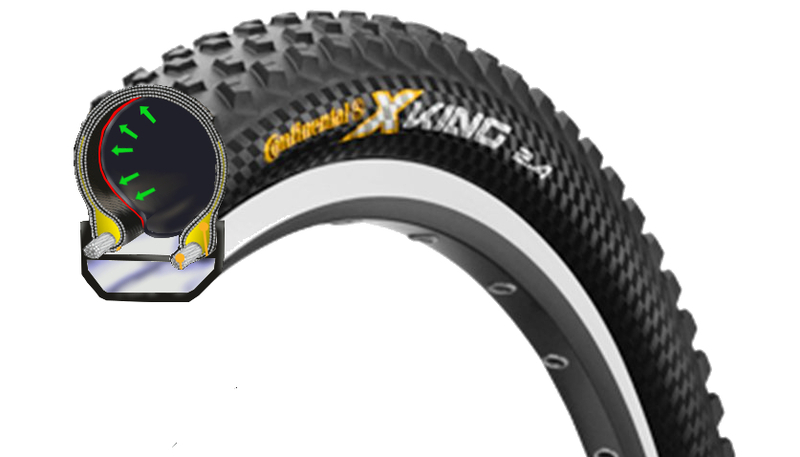 They are a tubeless compatible rim, rim tape and valve, a tubeless-ready tire, and sealant. In many cases new bikes are coming stock with tubeless compatible rims (the largest expense) so check with your shop to see if you are already half way there. In the rare instance where you do get a flat tire, you can simply remove the tubeless valve core, and install an innertube. There is a bit of added mess with the sealant, but otherwise changing a flat is simple. This entry was posted in News and tagged Bike Guide Minnesota, fun bike photo opportunities, MAVIC UST, Minnesota Bike Guide, Minnesota trails, MN trails, mountain bike, Mountain Biking, mountain biking fun, Orange Peelz, Ride My Bicycle, Road Biking Minnesota, road tubeless, Stans Notubes, tire sealant, TRS, tube less setups, Tubelesss Tires, WTB on September 14, 2017 by John Brown. Nice, clear article. But you don’t mention the potential difficulty of mounting and unmounting a tubeless tire which is very dependent on the brands and models of tire and rim. Thanks Bob, I agree some tubeless setups are more difficult than others to mount. Luckily, as rim and tire manufacturers have adopted ETRTO standards, setup has gotten far easier. Stay tuned for an upcoming article on tips for installing tubeless tires. The most important factor left out is the cost per tire tubeless vs tubed. Another factor is cost of changing from tubed tire to tubeless. Also much does the shape of the rim factor into the ability and the cost of changing tire style? Hey Steve, All good points. My main reason for writing this article was to show what tubeless systems do. I’ve seen some major brands including tubeless ready rims on Hybrids, so I figure it was important to talk about the “why” first. Keep an eye out for an upcoming article on tips for setting up a tubeless system, costs and benefits will be a key component. Once you have a flat and put in s tube, you are essentially back to a tube tire. Once you have a.flat and put in s tube, can the tire be fixed same as a car tire and go back to being tubeless? Hey Jerome, Usually you can repair the tubeless tire and return it back to service. I have found that this is a bit easier to do at home rather than on the road. In the past I have used patches to fix the tire rather than the automotive plugs, but a few companies are now making plugs for tubeless and I have heard good things. Basically, to repair the tire, remove all the sealant, clean the area around the hole with emery cloth and a little alcohol, then apply a patch as you would an inner tube. If the hole is larger than a few millimeters it’s probably best to replace it.